It's not an easy time to be a spoiler-sensitive Persona fan. If you're wanting to go into Persona 5 in February with a clear head, there are hashtags, wikis and preview videos to actively avoid (seriously, avoid the wikis!). My initial plan was to be part of the spoiler-free crowd, but when Final Fantasy XV was delayed I decided to give into my Persona 5 impatience and bear the spoilers in order to fill my September gaming void and play a great game. But as someone only studying Japanese rather than fluent in the language, I was quickly reminded that Persona isn't a light JRPG. I found Persona 5’s story getting hazier as I spent my time focusing on merely getting through Persona 5 rather than fully and easily experiencing it like I normally would in English. At its core, buying Persona 5 before release may seem like a good idea, but if you’re like me and love Persona’s story, getting it in Japanese when you’re not fluent won’t give you the same experience the English release. It's not a complete uphill battle to play Persona 5 in Japanese though. 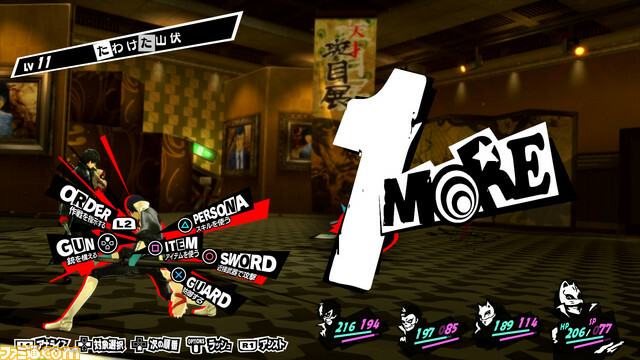 If you've played a Persona game or two, you can probably work how to play Persona 5 at the very least. Same as the other main series Persona games, gameplay is similar enough between each edition that it’s pretty easy to work out how to play one Persona game if you’ve played another. It’s the same with Persona 5, with the added bonus of it being polite enough to put some of the basic battle controls and main menu interface in English. For dialogue heavy moments, because Persona 5 is such a visual improvement on pre-current gen Persona games, it’s easier to get context from the visuals making Persona 5 a bit easier for international players. If missing plot intricacies doesn’t bother you, mechanical knowledge of Persona and some button mashing through new mechanics is most likely enough to at least get to the end of Persona 5. This is how I played through the first dungeon of Persona 5 and despite wanting to understand more of the story, I was able to have a lot of fun with the battle mechanics and understand just enough of the story for it to be interesting. Dungeons were probably the most stress free part of my dictionary-free run because of the battles and animated cutscenes, so if you’re importing this aspect won’t be too much of a problem and they're a good way to have fun with Persona 5. If Persona 5 was all dungeon crawler and no dialogue, it wouldn't pose as much of a problem to the non-Japanese speaking player. 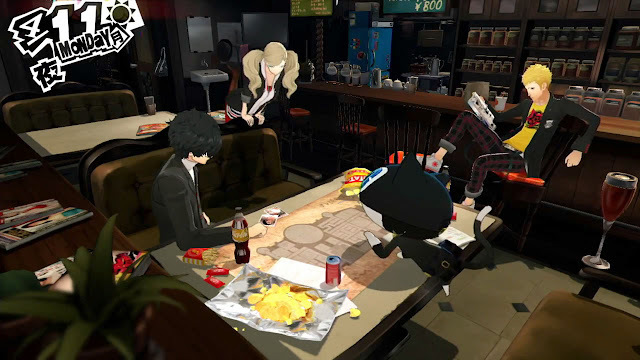 However a lot of Persona’s core is narrative, with some of the series best and most unique mechanics including Social Links and the new Demon Negotiation using dialogue as an important game mechanic. A lot can be gathered from visual cues, however with Persona’s characters always having well-rounded personalities and long dialogue scenes, it’s easy to miss important plot intricacies with little or no Japanese knowledge. With my lower level Japanese, I could gather a few of these intricacies but I did find when speaking to my boyfriend (who is much better at Japanese), there were still a lot of things I missed. I didn’t fully understand just how evil the antagonists were because of what I missed in the dialogue and there were developments I really wish I had been able to understand for myself. It’s to be expected since I'm not fluent in Japanese, but Persona is so largely story-based that I couldn’t help but feel like I was missing really important things. Social links are another beast, as I found myself matching words or kanji I knew in dialogue choices when I don’t understand what’s going on, with mixed success. By the beginning of Persona 5’s second dungeon, I found myself pretty nervous as I always wondered if I was missing something important I'd been told to do that was vital to the next boss and if I’d be sent to game over town because I hadn't been able to understand what to do. There is hope though. For the patient and for those with an interest in learning Japanese, my trusty picture translator and dictionary method requires me be much more patient, but works in Persona 5. In my new save file, I’ve been able to look things up to my heart’s content and actually understand what's going on, which makes me feel way happier when I play. It is, however, taking a lot longer; I’m not at the first save point yet and it’s probably been 4 hours in my new save file. But feeling like I know what’s going on is important to me, which is what drove me to write this article. Some people won’t mind getting a glimpse at Persona 5 without understanding everything, but if you love the details of Persona’s stories, actually waiting may not be a bad idea for a game like Persona. If you want to understand how truly evil some of the characters are, you may not get that from a bunch of words you can’t read and some maniac laughter as much as you think, which is what I found in my first save file. 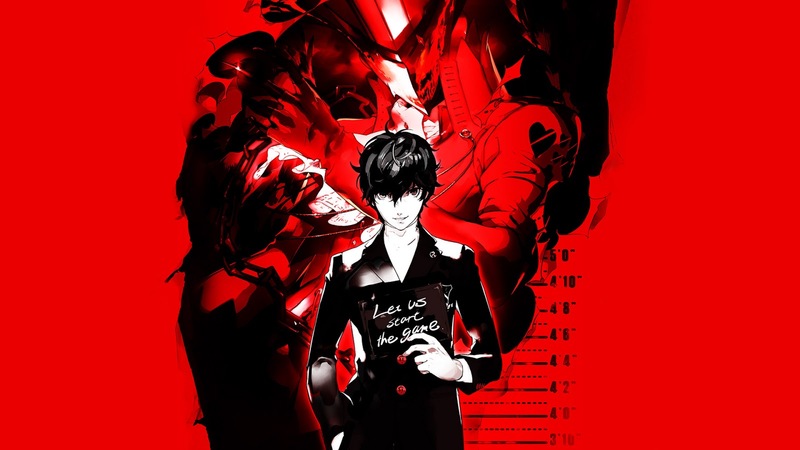 I completely understand the impatience of waiting for such an anticipated and consistently great series, but as I said in my previous article about playing Persona 5 before release, localisations exist because of how much dialogue there is to translate and Persona 5 probably has more than ever. 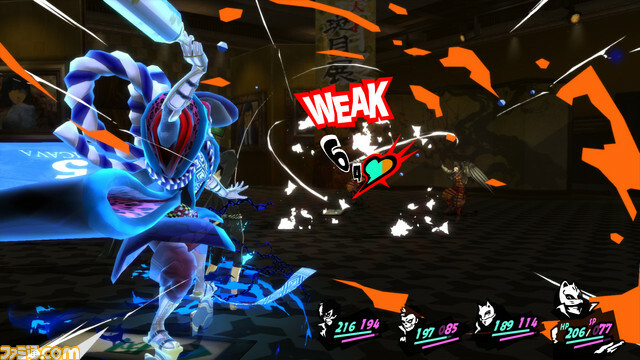 Playing Persona 5 pre-dictionary was like looking at it through a glass door: I could see the coolness of Persona 5 - the gorgeous visuals, the improved battle system - but I was missing a lot of details and those details are what makes a Persona narrative so hard-hitting. I'm going to keep playing Persona 5, but I may abandon my dictionary-free save and take my time learning new words and understanding the story. I can’t promise that playing Persona 5 will be cool for people who don’t speak Japanese and for those who speak it on a lower level like mine as there will be nuances missed out on unless you approach it with patience. But I also understand for a lot of people, merely playing Persona 5 is what they want and they can live without knowing every detail and I kind of envy that in some ways. No matter when or how you play Persona 5, I encourage everyone as its load screen regularly reminds me to ‘Take Your Time’ and enjoy the intricate world that is Persona 5 in the way you can have the most fun possible. You can pre-order Persona 5 for PS3 and PS4 in English or buy the Japanese version at Play-Asia.com! Do you play games in Japanese before they're localised? What's your best/worst import game experience?